Hello Dealsnloot Readers,Now Goibibo has introducing Goibibo goCash Plus. The main difference on Goibibo gocash and Goibibo goCash plus is, you can use Goibibo goCash plus with no restrictions. Goibibo introduces the GoCash+ with no restrictions on how & where you redeem it. 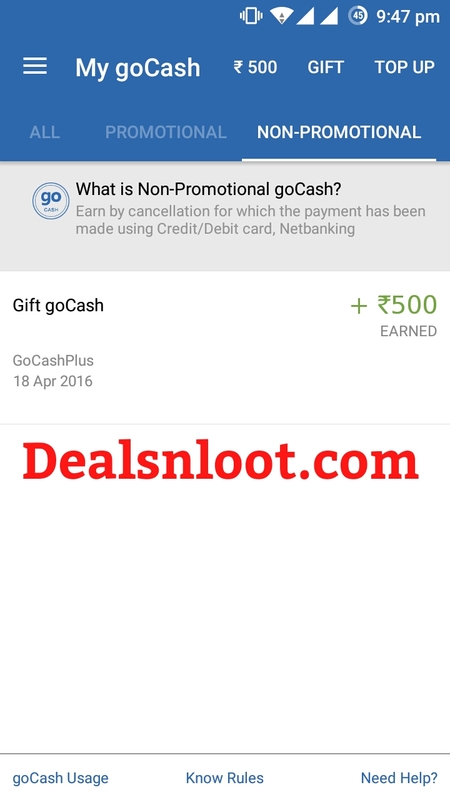 You Can earn Rs.500 GoCash+ Easily by referring 5 friends (Valid only on first 5 refers). Redeem 100% GoCash+ on Hotels & Domestic Flights.So Grab This Loot Offer And Earn Unlimited Goibibo Cash. Note :- Once your 5 referrals are complete, your account will be credited with Rs 500 Gocash Plus which can be used completely on any booking. How to Get Rs. 500 GoCash Plus for free ? If you are a new users sign up using referral code Nik3339 to get 2000 gocash. Click on top left icon. Get your referral code and share with your friends. Friends download app, you get Rs. 1000 gocash for free and your friends get Rs. 2000 gocash for free. Once your refer 5 friends successfully, you get Rs. 500 goCash plus for free. Earned by Cancellation of a booking for which the payment has been made using credit card/debit card/net banking. 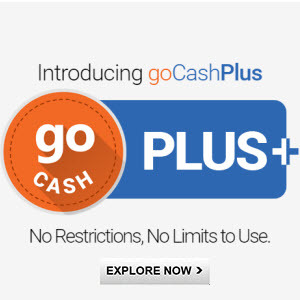 goCash Plus earned from Cancellation has unlimited validity. Also earned by participating in various Promotional Activities of goibibo (e.g. Refer & Earn). goCashPlus earned from Promotional Activities has validity of only 90 days from the date of issue. goCashPlus usage is subject to taxes. 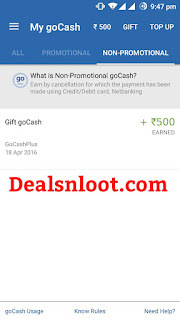 Offer includes 500 goCash Plus (having NO USAGE RESTRICTION) for 5 friend REFERRED SUCCESSFULLY. This offer is live from Apr 12, 2016. Any referral made before that wouldn’t be awarded the goCash Plus. You will get 500 goCash Plus ONLY for the first 5 successful referrals post Apr 12, 2016. You would receive your goCash Plus in 24 working hours. 500 goCash Plus can FULLY be used to book Flights, Hotel, Bus & FPH.